North American and international markets. In his last management role, Mr. Yahiayan was the Assistant General Manager and Head of Corporate Banking at a subsidiary of Standard Chartered Bank, Plc. Previously Mr. Yahiayan was the Vice President of the Corporate and Institutional Group for Standard Chartered Bank’s New York Branch, and Head of Credit and Business Development for the New York Branch of Bank Bumiputra Malaysia Berhad. Mr. Yahiayan received his BA from New York University, MBA from New York Institute of Technology, International Management Certification from INSEAD, Fontainebleau-France, and an MS-Education from CUNY. 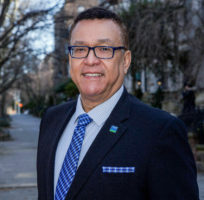 With over 30 years of progressive and diverse experience in banking and financial services with Federal Reserve Bank of New York, Mr. Maldonado brings a unique perspective as a seasoned professional. His credentials are in bank supervision and regulation with emphasis on accounting, finance, credit, audit and internal controls, and risk management. As a Senior Relationship Specialist, his continuous interaction with the management of foreign agencies and representative offices, commercial banks, broker/dealers, and investment Edge corporations, contributed to advanced risk knowledge in credit, market, liquidity, operations and legal compliance. Mr. Maldonado has also coordinated, supervised and performed multiple risk assessments of these institutions while training and coaching junior specialists. He also has headed examination teams who conducted safety and soundness examinations within the 2nd Federal Reserve District to assess risk management, operational controls, asset quality and the financial condition of the institutions. Mr. Maldonado has participated in various training programs at the Board of Governors of the FRS and the Federal Financial Institutions Examination Council in Washington, D.C. 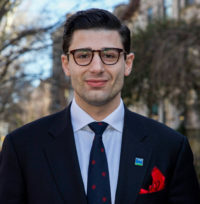 He earned his BA from Hunter College and MBA from Fairleigh Dickinson University with a specialty in Bank Management. Ms. Gesheva has over 10 years experience in international finance and econometrics including asset management, C&IB, and monetary policy. 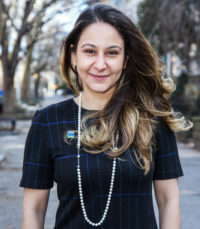 Ms. Gesheva has earned an MBA from Columbia Business School, BA in Economics & Business from American University in Bulgaria and MA in Economics from NYU where Ms. Gesheva also received a Fulbright Honors Scholarship. Mr. Yahiayan’s expertise includes capital and emerging markets, business valuation, portfolio management, and mergers, acquisitions and restucturing. Mr. Yahiayan earned a Bachelor of Business Administration concentrating in finance and investments from Murray Koppelman School of Business at City University of New York (CUNY), Brooklyn College. Ms. Wahnon specializes in Media and Graphic Design. Her work includes but is not limited to designing brochures, fliers, business cards, business advertisements and web designing. She has 9 years experience with digital 4k photography, shooting events and such. She has earned her Bachelors of Technology at New York City College of Technology, City University of New York (CUNY). Mr. Carroll has 21 years experience. He served as a project manager and lead energy engineer for companies such as Clough Harbour and Associates, a top 100 engineering firm and has worked as an independent consultant across NYS, NJ and New England. His project management experience includes client identification, scope development, proposal presentation, contract negotiations and client relations. He is proficient with various energy analysis software programs as well as Energy Star Portfolio Manager. He has extensive experience in all facets of commercial, educational campus, healthcare, industrial energy/water conservation and renewable energy industries. Mr. Carroll received his BS in Mechanical Engineering from the University of North Carolina Charlotte and is a graduate of the U.S. Naval Officer Candidate school. Ms. Ravich has over 20 years of CRE and commercial legal expertise. Her career track includes LeBoeuf, Lamb, Greene & MacRae LLP and Eastern Consolidated. Ms. Ravich has earned her Masters in Real Estate Finance and Investments from New York University, JD from Moscow State University, and LLM from Case Western Reserve University. Ms. Ravich is licensed by the New York State Bar, Real Estate Broker’s License, and Notary Public. Mr. Tavadyan has 10 years experience as Legal Counsel for International Energy Corporation CJSC, Lecturer of Law at Yerevan State University as well as Senior Legal Counsel for the Legal and Business Consultative Company “TER- TACHATYAN”. Mr. Tavadyan received his B.A in Faculty of Law from Yerevan State University in 2009, M.B.A in Law in 2011, and his PhD in “Legal Regulation of Anti-Competitive Agreements in RA. 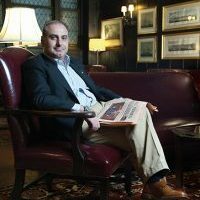 Mr. Minassian’s experience includes 5 years in editing and creating press releases in addition to finalizing professional documents and presentations. He graduated as an undergraduate from NYiT with a B.A in Communication Arts. Mr. Andreoli has over 35 years experience in civil and environmental engineering working with Northville Industries, Suffolk County Department of Health Services, Southampton Village, and other prominent institutions. Mr. Andreoli is a licensed Professional Engineer in the states of New York and New Jersey, and teaches at SUNY Stony Brook . Additionally, Mr. Andreoli has been awarded Engineer of the Year Award from the National Society of Professional Engineers and Civil Engineer of the Year Award from the American Society of Professional Engineers. Mr. Andreoli received his MCE from NYU and a Fulbright Grant Recipient, Laureate at the University of Naples. Mr. Clark has more than a twenty years experience in various complex professional engineering theaters of operation. He holds a BS from CUNY-City College and Masters in Science/Mechanical Engineering from Columbia University. Ms. McCrae started her career in 1998 with a big four public accounting firm until she left as an audit manager in 2006. 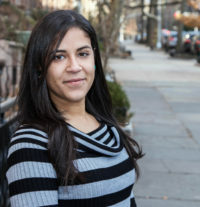 In 2007, she started her own firm C.A MCCRAE, CPA, LLC, a M/WBE certified entity in both the State and City of New York. Carol is a member of the American Institute of Certified Public Accountants (AICPA), New York State Society of Certified Public Accountants (NYSSCPA), amongst others. She holds a Bachelor of Science (B.S) in Accounting from New York University and a Master of Science (M.S) in Taxation from LIU and has been a C.P.A since 2000. Ms. McCrae is replacing Dr. Bruce Fabrizio who has been a part of the Continental Advisory family for over 10 years. With more than 20 years experience as a CPA, Mr. Fabrizio has audited small to middle market companies. Mr. Fabrizio’s expertise includes cost certification of new construction of commercial buildings, forensic accounting and estate and partnership taxation. Mr. Fabrizio holds a BS in Accounting from NYIT. Mr. Kelegian has over 20 years experience in finance and business development. Mr. Kelegian credentials are industrial chemicals, alternative energy, and TMT. Previously, Mr. Kelegian was with AIG, SmithBarney (Citigroup), and FVP at Gruntal&Co., Mr. Kelegian holds professional licenses from FINRA and CBA. Mr. Minasyan has 20 years of financial auditing expertise. Mr. Minasyan earned his Master Degree in Radio-physics and electronics from Yervan State University in Yervan, Armenia. Mr. Minasyan is fluent in 4 language and hold serveral certifications which include, ACCA (Chartered Certified Accountant UK) and CIA (Certified Internal Auditor, US) qualified finance and accounting professional with 15+ years (including working for KPMG Big 4 Audit and Coca-Cola HBC FMCG) of international extensive experience in Internal and External Auditing, Sarbanes-Oxley (SOX 302/404) compliance, corporate accounting and finance, risk management, FCPAs, COSO, SAP implementation projects, forensic investigations and IT controls. Mr. Minasyan has a proven track record of leading and building an audit function to support large global operations helping to develop efficient and well-controlled processes across the enterprise. 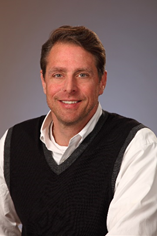 Mr. Boronico has over 20-years expertise in operations research and measured growth strategies. Mr. Boronico has earned his Doctor of Philosophy in Operations research and Management Science from the University of Pennsylvania, The Wharton School, Masters of Science and Bachelor of Science in Mathematics from Fairleigh Dickinson University. Mr. Smith is a recent graduate from NYU, Tandon School of Engineering with a Masters’ degree in Electrical Engineering. He is certified in LEED GA and E.I.T. and finalizing his Project Management and OSHA certifications. His interests lie in Power System Stability, Transformers and Renewable Energy. With over 40 years expertise in MNE operations management expertise, Dr. Tiberwala brings a measured growth strategy and EVA expertise to complicated projects. Mr. Tiberwala has an Engineering Science Doctorate from Columbia University, Masters in Industrial Engineering from Columbia and a Bacholor’s of Science in Mechanical Engineering from B.I.T.S. Mr. den Otter has over 20 years of international logistics expertise, working with a range of multi-national companies, mainly in retail and manufacturing/consumer business as well as various supply chain roles at Deloitte. Mr. den Otter earned his Master of Business Administration IT management from State University Groningen, the Netherlands. Mr Shapiro has over 30-years expertise in econometrics and financial risk expertise as well as several publications and white papers. Mr. Shapiro has a Ph.D., Financial Economics from Georgetown University, M.A., Economics from Georgetown Univeristy as well as a B.A. in Economics and Mathematics from University of Virginia. With over 25 years in engineering with a focus on BMS and PM. Mr. Kaplan earned his BSc. in Mechanical Engineering from NYU. Mr. Kaplan earned his MPM and CIPM credentials. These certifications are awarded by the American Academy of Certified Project Managers and International Project Management Commission in association with IBS GAFM – International Board of Standards.